Is Fortescue the next Telstra? One of the main games in town, due to falling interest rates over the last decade, has been the hunt for yield from stocks who often pay healthy fully franked dividends generating an income well in excess to the returns available from a bank deposit. 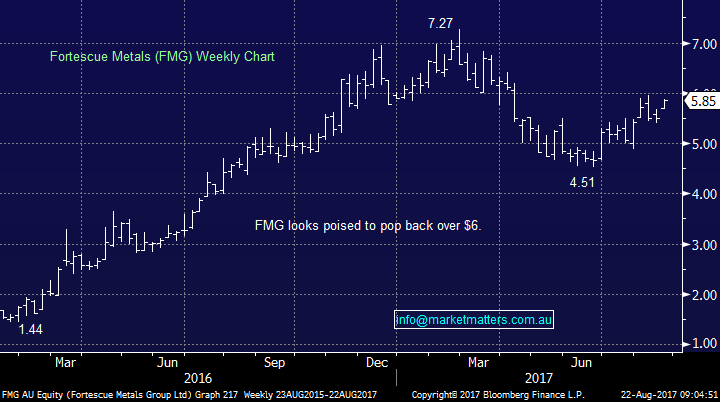 Yesterday FMG actually reported a miss on earnings, but a huge positive surprise on capital management sent the stock up over 6%. They are going to pay an exciting 25c fully franked dividend on September 1st, certainly more eye-catching than TLS today. 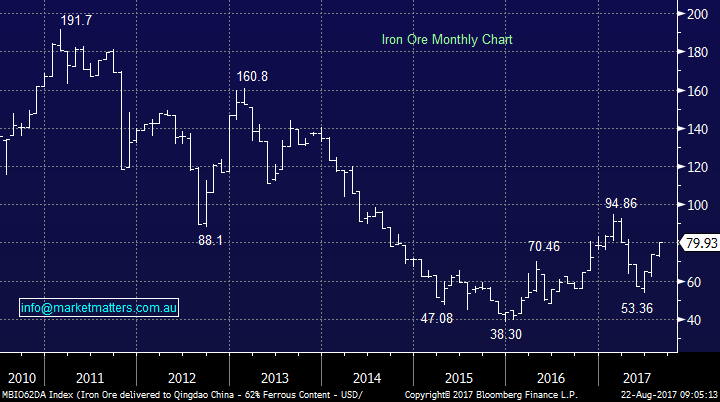 However, if iron ore halves in price again on say a China slow down, this current dividend picture will change very rapidly. “Twiggy” Forrest and FMG have done an amazing job at turning FMG around primarily by reducing the cost of production and paying down debt but the iron ore price remains key. At this stage, the market’s expectations for Iron Ore are a lot lower than the current spot price, and therefore the longer the price stays elevated, the more earnings upgrades FMG will receive. On the revised dividend guidance (50-80% of NPAT), Fortescue is likely to yield somewhere between 4.5-7% fully franked – which is HUGE for a resource stock (at this point in time). We believe FMG is an excellent active investing / trading stock with a likely healthy dividend moving forward which we may on occasion attempt to capture but the current dependency on iron ore cannot be ignored.